Danelle Kerman (Aspiring Scientist): I have a DREAM. A dream to someday walk on that which I’ve merely seen and nary touched. One day, someday, I shall tread upon that gray orb hanging intangibly low in Kerbin’s majestic sky, ever-present since our ancestors first crawled from the seas, an inspirational symbol of hope since time immemorial. The MUN!! A place no one else can reach! Mission Control: No, no, no, we’ve been to the Mun already. Last week in fact. Your cousin left a flag, remember? Remember? Every Kerbal knows of Jebediah Kerman’s unparalleled success as the least inadequate Mun pioneer. 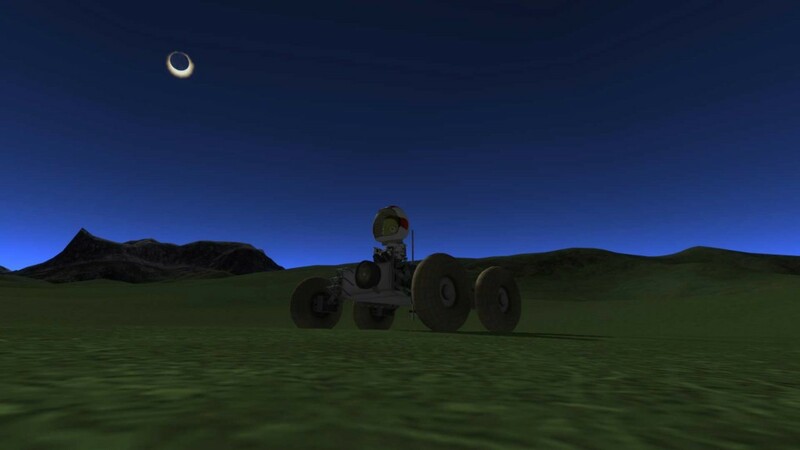 Danelle Kerman: THEN I SHALL DRIVE UPON IT! !